If they stayed almost any length of time, the ancient Romans left a cultural mark on the place they visited, conquered, and/or had extensive trade with. One way this makes itself known in Egypt is in funerary practices. The cultural mix can be seen in two Roman era tombs which have been found at the Beir Al-Shaghala archaeological site in the Dakhla Oasis. An archaeological mission from the Egyptian Ministry of Antiquities has been working at Beir Al-Shaghala since 2002. The site is located near three other archaeological sites - Mut al-Kharab, Tal Markula, and Koam Beshay. According to Sada El Balad English , the most recent excavations have been carried out on the eastern edge of the site. 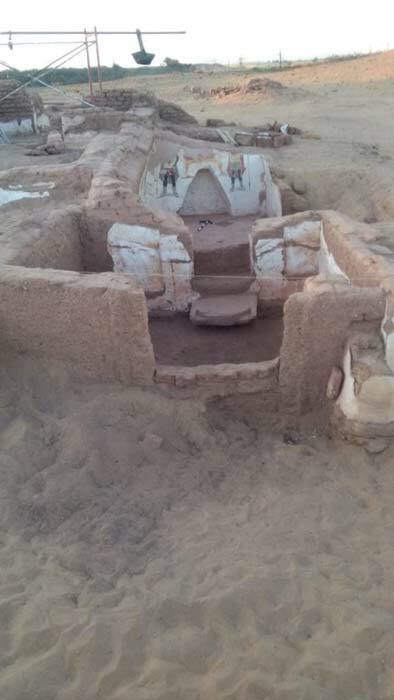 Ahram Online reports that over the years the mission has uncovered at least 10 other tombs in the area . Many of the tombs have interesting architectural features such as pyramid shaped roofs and two or three levels. 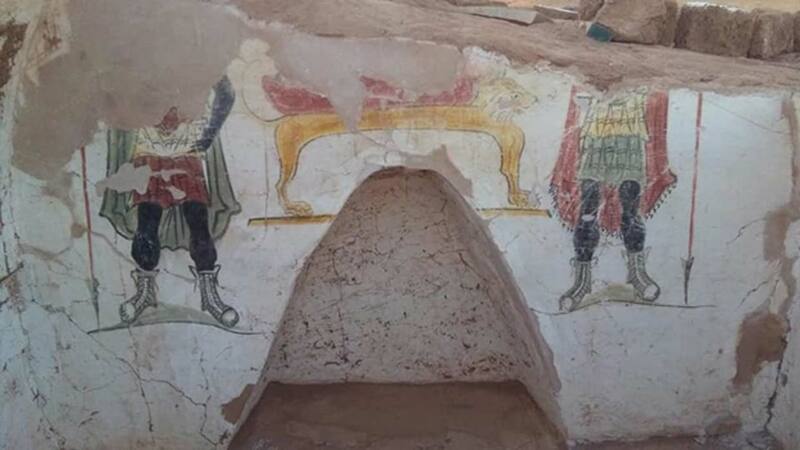 One of the most striking features of the recently unearthed tombs are the striking and bright wall murals. There are some similarities in their format, but the differences in artwork show these Roman tombs are not identical. The second tomb, which lays to the east of the abovementioned grave, has also been described as being made of mudbrick. It too has a funerary corridor, but there is only one a vaulted burial chamber attached to its northern wall. A niche in that room contains a painted scene of the mummification process. These tombs, and others previously discovered at the Beir Al-Shaghala site, demonstrate some of the mixing and adaptation of funerary practices and burial styles between ancient Romans and ancient Egyptians. University College London explains some of the general differences in tomb style and burial preferences in the Roman era of Egypt. For example, by the Roman period, shabtis and canopic jars were out of fashion (you could say they were ‘so pre-Ptolemaic Period’). Instead, “Objects of daily use […] became a popular burial good again under Roman rule: in particular, cosmetic objects are commonly found with women.” This Roman era excavation is thus important as few cemeteries of the Roman Period have been properly audited and their finds documented. Mummy portraits , or Roman or Greek style funerary masks, were preferred over Egyptian style mummy masks. But plaster masks in the Greek/Roman style were apparently the favorite option for the elite . By this time, coffins had also become little more than simple boxes, but preservation of the deceased’s remains through mummification had become more popular. Multiple burials were also more common for people of all levels of society, which explains the collection of human remains in one of the tombs.